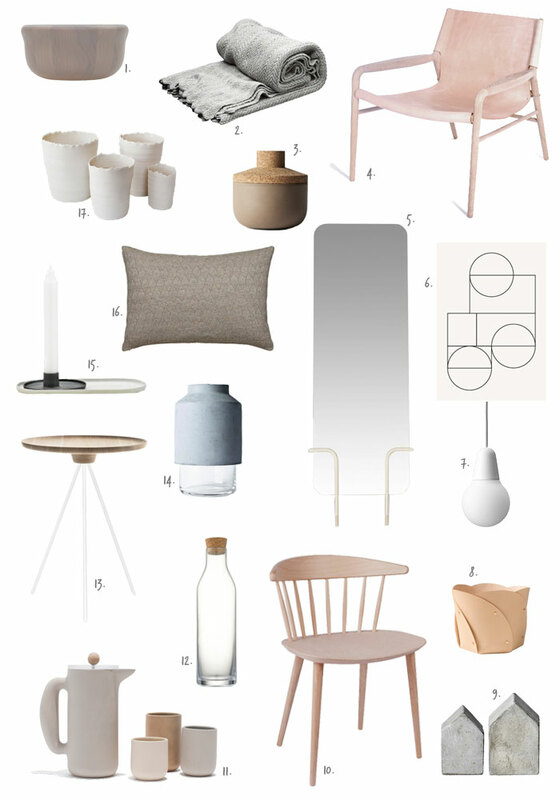 One of the trends to watch in 2014 is along the lines of what I call ‘natural minimalism’. Simplicity is the rule of thumb, and quality over quantity is key. Taking inspiration from nature, this trend is all about a calming colour palette of beautiful and muted shades of cream, beige, sand, grey and white. Use these warm, cosy and neutral hues with soft fabrics, organic shapes and natural materials such as wood, leather, wool, stone, etc. to create a timeless and stylish look. Psst: This post is part of a special Trend 2014 series. Click here to see more! That’s nice! Did you see my 4 interior color trend moodboards for 2014 on stylink?